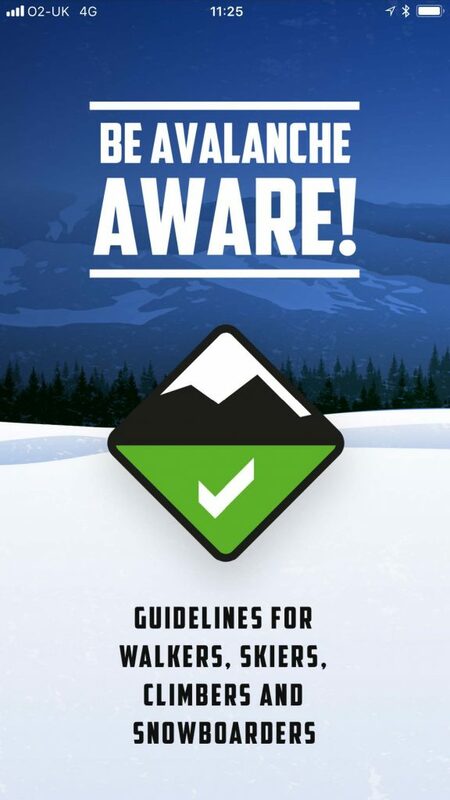 Announcing the launch of the “Be Avalanche Aware” App. The programmes feature introduces the Be Avalanche Aware app and illustrates how to use some of the tools, such as determining slope angle and forecast hazard levels relative to your location in the mountains, and position on the map. As well as providing an intuitive set of guidelines to help the user with their decision making process, features such as: SAIS daily avalanche reports, mountain info blogs, notifications, and tools to help users to determine critical slope angles, the direction a slope faces in relation to published avalanche hazard and your location will be incorporated. In 2011 the “Be Avalanche Aware” initiative was developed following a collaboration between many agencies and groups from throughout the UK and further afield with the objective of addressing the avalanche situation in Scotland. Organised by the Snow and Avalanche Foundation of Scotland (SAFOS) and managed by the SAIS the BAA initiative was introduced in the winter of 2013 with the production of the BAA leaflet. The BAA initiative outlines the decision making process and fundamental considerations for assessing avalanche hazard. For the first time, the BAA initiative provided a guideline framework for those going into the winter mountains. Over the last 2 years donations and funding has enabled us to continue with this development. Funding for the app and other such initiatives are wholly dependent on donations and financial support. We are extremely grateful for the seed money, provided by the Glencoe Ski Club and the Daniel Maddox fund that enabled app development to start, this was followed by a significant donation from WL Gore R&D UK. Following this, donations from the Chris Walker Memorial Trust, Scottish Mountain Training, Scottish Mountain Trust and sportscotland have been instrumental in allowing us to create something that will be of fundamental use to all mountain enthusiasts and professionals who enjoy walking, climbing, skiing and snowboarding in the winter mountains. Donations are all gratefully received and will allow us to continue with enhancing the App as well as other educational projects.